Leonard was born in Laredo in the Azteca neighborhood. His neighbors included his 1956 Martin High School State Championship Basketball teamates Jose Luis Novoa, Isidro Garcia and Pitin Guajardo. They learned and played basketball all year long at the Laredo Boys Club along with other Club members, which included Andy Santos, Philip Trammel, Ramiro Hernandez, Hector Chacon, and Cruz Soto. This camaraderie helped prepare them to achieve their State honor. After graduation from Martin High-Laredo, he enrolled at Allen Military Academy (Junior College Division) Bryan, Texas, on a basketball scholarship and graduated with an Associate of Arts degree in 1958. He enrolled at Texas A & I, Kingsville, Texas to obtain a Health and Physical Education degree. He practiced (walk-on) with the basketball team as advised by his high school coach, William C. Batey. 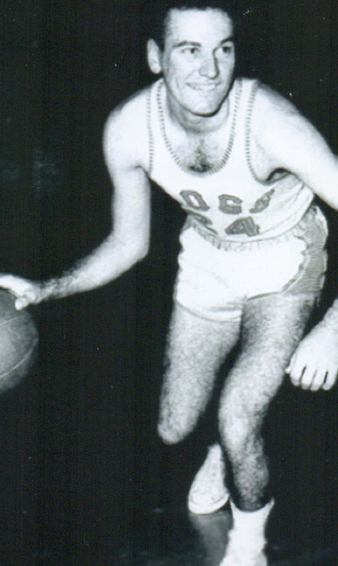 Lettering three years on the A & l basketball team and was designated Team Captain during the basketball season 1960-1961. Of significance was his decision to enroll in the Texas A & l Senior ROTC program. Leonard graduated in May 1961 and was commissioned as a Signal Corps Officer, US. Army. Thirty days later he travelled to Ft. Monmouth, New Jersey via commercial rail to attend the Signal Corps Officers Basic Training. Realizing that he would not travel the world like his father during World War I did with the US. Army in Mexico-1916 and France—1917, without the assistance of the US. Army, he voluntarily extended his service and applied for overseas duty. In 1963 he was assigned to Louveciennes, France with the duty at Supreme Headquarters Allied Powers Europe. In 1967, he was posted to Viet Nam as an Operations Officer with the 21‘t Signal Group and was involved, among other operations, in supporting the Allied Forces counteroffensive in the northern provinces of then Viet Nam. This well known time frame during the War was when the North Vietnamese and Viet Cong TET Offensive attacked throughout the entire country. During this tour of duty he was awarded The BRONZE STAR for meritorious service. During September 1968, he was assigned to Ecuador as a Military Advisor with the Army, Navy and Air Force Military Group. Following his tour in Ecuador was reassigned to a second tour of duty in Vietnam as a Signal Advisor in Gia Dinh Province with the Vietnamese Signal Corps. This assignment was followed with duty in Germany, and later reassigned to Ft. Hood where he was released from active duty, and joined the Federal work force as a civil servant. Leonard retired in January 2004, after being stationed in San Francisco, CA, Houston, Washington, DC, and Idaho Falls, Idaho. He is married to his wife of over 56 years, Carol Ann. They have five daughters and ten grandchildren. The grand kids range in ages 8 through 22. Leonard is proud to mention that seven of the grand children are young men. The oldest grand child is currently enrolled at the University of Texas Austin with another at Texas A&M-College Station and is a proud member of the Corps of Cadets. Carol and Leonard reside in north Houston.